Great piano feel and ultimate control over your MIDI software and modules. 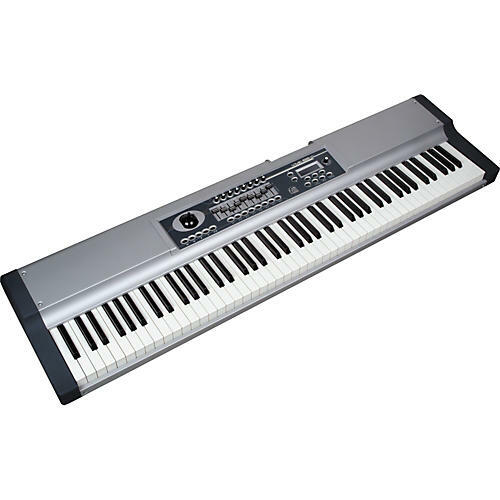 The Studiologic VMK-188 Plus is a master controller keyboard that features 88 keys with graded hammer action. Even the most discriminating classical pianist would be happy to play the VMK-188 Plus. This Studiologic MIDI controller has a fully featured USB connection including bus power in addition to two MIDI outs. A large LCD display helps you keep track of your settings and an array of pitch bend, modulation, sliders will give you control over every keyboard function imaginable.